The Featured Large Banner is located on the lower 2/3's of the "FEATURED" page of WeaponSeeker. This banner location has notable exposure on one of our most prominent pages. If you are a manufacturer, retailer. association. resource, etc and you are looking for the highest visibility possible for.. 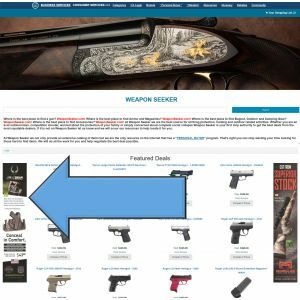 The Featured Manufacturer Banner is located to the left side of the "FEATURED" page of WeaponSeeker. This banner location is reserved exclusively for manufacturers to help highlight their product line. This banner has the highest level of single page exposure opportunity. If you are a manufacture.. 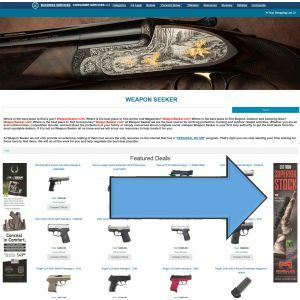 The Featured Retail Banner is located to the left side of the ""FEATURED" " page of WeaponSeeker. 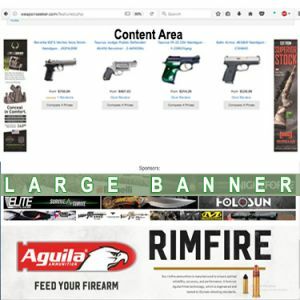 This banner location is reserved exclusively for retailers to help highlight their product line. This banner has the highest level of single page exposure opportunity. If you are a manufacturer and y.. 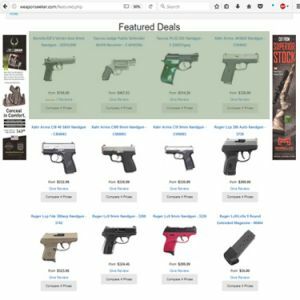 The Featured Placements Top Row advertising spots are located in the main body of the ""FEATURED" " page on WeaponSeeker. This placement has the highest level of single page promotion exposure. Duplicate items or promotions in any of the 12 Featured Placements is not allowed. If you are a manufac.. 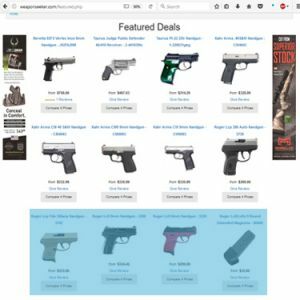 The Featured Placements Second Row advertising spots are located in the main body of the ""FEATURED" " page on WeaponSeeker. This placement has the Second highest level of single page promotion exposure. Duplicate items or promotions in any of the 12 Featured Placements is not allowed. If you are.. 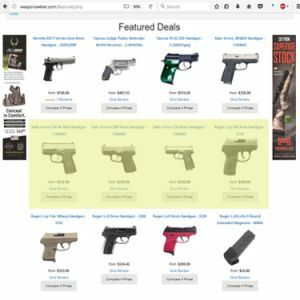 The Featured Placements Third Row advertising spots are located in the main body of the ""FEATURED" " page on WeaponSeeker. This placement has the Third highest level of single page promotion exposure. Duplicate items or promotions in any of the 12 Featured Placements is not allowed. If you are a..